Welcoming the demand of implementing Voter Verifiable Paper Audit Trail (VVPAT) with Electronic Voting Machines (EVMs), the Election Commission of India (ECI) on 12 May said it has received the finances for buying the device and will have them activated by 2019 General Elections. According to sources, the Election Commission said it would receive updated VVPATs in the time period stretching from August 2017 to September 2018. 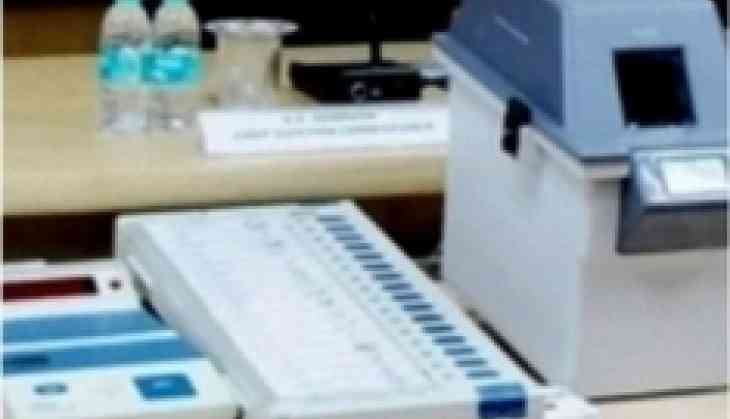 The EC also asserted that the 2019 Lok Sabha elections would take place in the VVPAT format. The Election Commission today convened an all-party meeting over the issue of EVM and other electoral reforms. In its communication to the presidents of all the seven national and 48 state political parties, the Commission sent a status paper on EVMs and VVPAT. The poll panel will try to assure parties that the EVMs cannot be hacked in any manner. The poll panel intends to use VVPAT units attached with EVMs in the coming elections for greater transparency and to keep voters' confidence in the electoral process. The Union Cabinet had given its nod to sanctioned funds of nearly 3200 crore rupees to procure more than 16 lakh VVPATs as sought by the EC. On Tuesday, the Aam Aadmi Party (AAP), during a special session of the Delhi assembly, conducted a live demonstration on how EVMs can be tampered with. Conducting a mock poll on an EVM machine, AAP leader Saurabh Bharadwaj demonstrated how despite giving two votes each to various parties; the final count showed that votes of some parties had been transferred to one party. A day before the all-party meeting, the AAP on Thursday forwarded a new demand, calling for an all party committee to be formed under the monitoring of the EC to ascertain whether EVMS were hacked in the recently held elections or not.